Android One program by Google was launched, last year.The aim was to bring the clean and pure vanilla OS experience to all the users at an affordable price with assured updates in the future. The program was kicked-off in India, with three partners – Micromax, Karbonn and Spice. 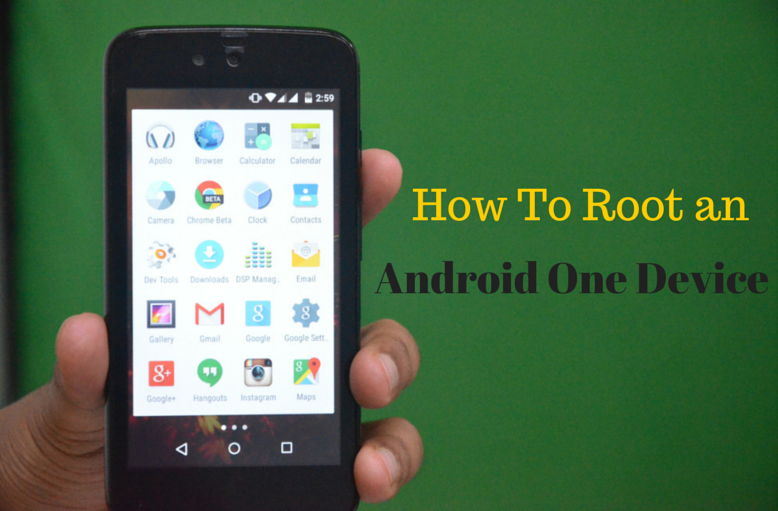 The Android One devices were namely for the Android One devices, namely Micromax Canvas A1, Spice Dream Uno and Karbonn Sparkle V.
The instructions given in this guide are meant for Android One Device Only. Enable USB Debugging mode via Settings and Developer Options. Backup your Device : Back up important data and stuff using a recommended custom recovery tool, like ClockworkMod (CWM) or TWRP, as it creates a complete image of the existing tablet setup. In Recovery, choose Backup and Restore, next tap on Backup. Install the Latest CWM / TWRP Recovery : We will be flashing the SuperSU root manager app to the device using the custom recovery, so make sure you have a working installation of CWM recovery on your device. You can check out the Steps to install CWM on Android one devices. Power off your device and wait 4-5 seconds after lights go off. Press and hold Power + Volume Up button together for a few seconds and then release the buttons as soon as you see the boot menu screen. In the boot menu, use Volume Up scroll between options and Volume Down to confirm (OK) an option. Press Volume Up three times to select Recovery Mode, and then pressVolume Down to confirm (OK) booting into Recovery Mode. Step 2: Create a Nandroid Backup from recovery. This is optional but very important to do, so that in case something goes wrong you can restore to current status easily. For making a Nandroid Backup, go to Backup And Restore » Backup. Select Install zip » Choose zip from sd card (or external sd card, you know where your files are) » browse to the location where you saved the file and select the ROOT file. For this, go back to the main menu of recovery and select reboot system now. That’s all. Your phone will now reboot and it will take some time as it will be the phone’s first boot after installing the root. Now use the “Root Checker” App from the Play Store to check if the root was successful or not.